FAQ PENTAX K-50 digital camera. How does this model differ from the K-30? - Supports super-high-sensitivity shooting (ISO100 to ISO51200) in Standard Output AUTO mode (only up to ISO12800 with the K-30). - Equipped with quality level tuning that enables expressing the edges in still images even more naturally. - Package includes AA Battery Holder and AA lithium batteries. What is included in the K-50 kit? Items marked with a (*) can also be purchased separately. Are there any other necessary items that are not included in the kit? The kit does not come with an SD Memory Card, so please prepare an SD Memory Card with the necessary capacity. You can connect the camera to a TV or other device and display the Live View image or play back captured images on the monitor by using the optional AV cable I-AVC7. What optional accessories are available for this camera? *The included body mount cover is not available as an optional accessory. What languages are available for the monitor display? Japanese and English are available on the Japan K-50 model (for domestic use). What is the exterior of the camera made of? The camera has a plastic exterior. Is the K-50 designed to be water-resistant/dust-proof? Yes, the camera is made to be water-resistant and dust-proof. What are the size and resolution of the LCD monitor? And, can I adjust the brightness of the monitor? The LCD monitor is a 3.0-inch TFT color monitor with a resolution of approximately 921,000 dots. It has a wide viewing angle and comes equipped with a backlight and brightness-adjusting functions. What are the magnification and field of view of the viewfinder? The field of view is approx. 100% and the magnification is approx. 0.92× (using a 50mm/F1.4 lens focused at infinity). What is the approximate distance of the viewfinder's eye relief (maximum distance between the user’s eye and the viewfinder at which the whole field is still visible)? Approx. 21.7 mm from the view window, and approx. 24.5 mm from the center of the lens. Can I adjust the viewfinder diopter? Yes, you can adjust the diopter from approximately -2.5 m-1 to +1.5 m-1. Is the focusing screen interchangeable? In addition to the standard AF Frame Matte MF-60 attached to the camera, the AF Divided Matte ML-60, AF Scale Matte MI-60, and Plain Matte ME-60 are also available. Does the K-50 have any features that help prevent dust from collecting on the image sensor? Yes. The SP coating on the low-pass filter helps prevent dust from collecting on the image sensor. Furthermore, DR (the Dust Removal mechanism) removes dust from the sensor unit. How many bits is the A/D converter? How long is the startup time? The startup time is approximately 0.9 seconds. This is the time it takes from the camera being turned on to the camera being ready to record. Where is the audio microphone located? The microphone is located on the top of the camera, just in front of the hot shoe. Can I attach an external microphone to the camera? Can the Cable Switch CS-205 be used with this camera? Can I use a battery grip with this camera? No. The battery grip cannot be used with the K-50. Can polarizing filters be used with this camera? Circular type polarizing filters (C-PL/Circular PL) can be used. Normal, non-circular polarizing filters may adversely affect the exposure and AF and thus cannot be used. What image recording formats are used? The camera records images in the versatile JPEG format or the high-quality and fully editable RAW (DNG) format. You can also select JPEG+RAW (DNG) and record in both formats simultaneously. * RAW (PEF) format is not supported. Can image rotation information be saved for images that are taken while the camera is held vertically or horizontally? Is there a Superimpose AF Area? Yes. The K-50 is equipped with a Superimpose AF Area function in which the selected AF point appears in red in the viewfinder. Can the focusing point be switched to one that is user selected? Yes. You can set the focusing point to the user selected point from eleven points in the AF frame. What kind of Shake Reduction system does the camera use? It uses in-body Sensor Shift Shake Reduction. How effective is the Shake Reduction in terms of shutter speed steps? The effect of Shake Reduction is equivalent to 3 EV steps in shutter speed. *The Shake Reduction effect may vary depending on the focal length of the lens, distance to the subject, shooting conditions, and individual technique. Does the Shake Reduction function work when lenses made by other manufacturers are used? The Shake Reduction mechanism will function even when lenses made by other manufacturers are used, but the effectiveness of the results cannot be guaranteed. *Malfunctions and such resulting from the use of lenses made by other manufacturers are not applicable for warranty repair service even if they occur during the applicable warranty period. Are there any lenses with which the Shake Reduction function cannot be used? No. This function can be used with all lenses that can be attached to the camera. *When a DA, DA L, D FA, FA, FA J, or F lens is used, information such as focal length is obtained automatically when the Shake Reduction function is used. When information such as focal length cannot be obtained by lenses other than those mentioned above, the [Input Focal Length] setting screen will appear when the camera is turned on. Set the focal length of the lens. *When a lens without an A position is used or the aperture ring is set to a setting other than the A position, set [Using Aperture Ring] to [2 Enable] in the [Custom Setting] menu. What is the Digital Filter? It enables you to change the color tone of an image or to modify an image in other ways. The Digital Filter can be applied during capture or playback mode. The following filters are available. Does the K-50 support P.I.M. (PRINT Image Matching III™) and Exif Print (Exif2.2)? JPEG images captured with this camera support both. RAW images do not. Does the camera support PictBridge? Will the settings made in the menus be erased if the camera battery is removed? Settings other than Date Adjustment are saved even when the battery is removed. Even with Date Adjustment, if the battery remained inserted in the camera for over 24 hours, the settings will be saved for over 48 hours even when the battery is removed. Is it possible to drive the autofocus with the motor inside the lens? When a motor-driven lens is attached to the K-50, the camera automatically switches to autofocus that is driven by the motor inside the lens. Can I use the power zoom on the FA★ lens or FAZOOM lens with the K-50? Can you tell us more about what lenses are available and what features can be used with each type of lens? - Under default settings, a DA, a DA L, or an FA J lens can be attached to the camera. - By setting the aperture ring to the A position, an FA, F, A or a D FA lens can be used under default settings. menu to use the camera when the aperture ring of an FA, F, A, or a D FA lens is not set to the A position and other K-mount lenses (P, M lenses) or lenses using the appropriate Mount Adapter K are attached. ○ ： Functions are available when the aperture ring is set to the A position. △ ：Some functions are restricted. × ：Functions are not available. *1 Lenses with a maximum aperture of F2.8 or faster. Only available at the A position. *2 Lenses with a maximum aperture of F5.6 or faster. *3 The built-in flash, AF540FGZ, AF360FGZ, AF200FG, and/or AF160FC can be used. *4 Only available with compatible lenses. *5 [Distortion Correction] is disabled when a DA 10-17mm FISH EYE lens is used. *6 To use an FA SOFT 28mm F2.8 lens, FA SOFT 85mm F2.8 lens, or F SOFT 85mm F2.8 lens, set [22. Using Aperture Ring] to [Enable] in the [C Custom Setting 4] menu. Pictures can be taken with the aperture you set, but only within the manual aperture range. *7 Only available with an FA 31mm F1.8 Limited, FA 43mm F1.9 Limited, or FA 77mm F1.8 Limited lens. *8 The focusing area is fixed to [Spot]. Can PENTAX 67 lenses, PENTAX 645 lenses, or 35mm S (screw) mount lenses be used with the camera? Yes. Use the appropriate Mount Adapter K, Mount Adapter K for PENTAX 67 lenses, or Mount Adapter K for PENTAX 645 lenses that corresponds to the lens being used. The shutter can be released by setting [22. Using Aperture Ring] to [Enable] in the [C Custom Setting 4] menu, and setting the focus mode switch to [MF]. Exposure Mode can be set to AV (Aperture priority) mode or M (Manual) mode, but an exposure deviation may occur. [F--] appears for the aperture indicator in the viewfinder and status screen. The camera operates in Av (Aperture priority) mode even if the mode dial is set to Auto Picture, SCN (Scene), P, SV, TV, or TAV. During USER mode, the camera operates in the mode (AV, M, B) that corresponds to the Exposure Mode set in USER mode. How does the area captured change when medium format lenses are used? When lenses for which the focal length is the same whether in 35 mm format or medium (67 or 645) format (100 mm, for example) is used with the K-50, the area captured is the same as 1.5x the focal length of a 35-mm equivalent lens (equivalent to 150 mm). Which lenses support the Lens Correction function? The DA, DA L, FA Limited, and D FA lens. What kind of function is "Lens Correction"? It reduces distortions and lateral chromatic aberrations that occur during digital processing due to lens properties. *It will take longer to save images when [Lens Correction] is [ON]. The factory default setting is [OFF]. *The corrected image is saved as a JPEG image. *Lens Correction is not used on RAW files. When the camera or provided software develops an image in the RAW format, Lens Correction is performed on the image and the results saved as a new JPEG file. *Lens Correction may not be performed in all cases depending on the lens in use and selected settings. Can I use other manufacturers' lenses with the K-50? If it is a K-mount lens, another manufacturer’s lens can be attached to the K-50. However, it should be used at the user’s own risk. We assume no responsibility nor liability for differences in the exposure or focus, accidents, damages, or malfunctions resulting from the use of lenses made by other manufacturers. Can you tell me more about Continuous Shooting? The continuous shooting speed and the number of recordable images for continuous shooting are as follows. *1 Tested using the rechargeable Lithium-ion Battery D-LI109. *2 Tested using AA Energizer Ultimate Lithium Batteries. *The number of recordable images for continuous shooting depends on the transfer rate of the SD Memory Card used. The figures above are for when a UHS-I, class 10 SD Memory Card is used. Can the Preview function be used on this camera? Yes. You can use the Optical Preview for checking the depth of field with the viewfinder and Digital Preview for checking the composition, exposure and focus on the monitor. Can a remote control be used with this camera? Yes. The optional Remote Control F and Remote Control Waterproof O-RC1 are available for use with this camera. You can choose from any of three modes: the shutter is released immediately after the button on the remote control is pressed, the shutter is released three seconds after the button is pressed, or continuous shooting starts when the button is pressed. Can Multi-exposure Shooting be used with this camera? Yes. You can select a number of shots between 2 and 9. *Multi-exposure is not available when HDR (high dynamic range) Capture, Digital Filter, Interval Shooting, Night Scene HDR of SCN (Scene) mode or Movie mode is selected. Can Interval Shooting be used with this camera? *Interval Shooting is not available when Movie mode, Bulb shooting, or Multi-exposure is set. Can Bulb shooting be used with this camera? Blub shooting can be used by setting the mode dial to B. There are two modes in [Bulb (B) Mode Options] in the [C Custom Setting 2] menu. In [Mode1], exposure continues while the shutter release button is pressed. In [Mode2], exposure starts with the first press of the shutter release button and ends with the second press of the shutter release button. Is Slow Shutter Speed NR available? And if so, can I turn it off? Yes, it is. To set it to off, select [Off] in [Slow Shutter Speed NR] of the [Rec. Mode 2] menu. Is AF Fine Adjustment available on this camera? Yes, it is. Different settings can be set for individual lenses. Adjusting the autofocus may make it difficult to capture images with the appropriate focus. Be sure to use [AF Fine Adjustment] only when necessary. Does the K-50 have an AF assist light? Yes. The camera has a dedicated AF assist LED light. Is Face Detection available in Live View mode, and how many faces can be detected? When [Contrast AF] is set to [Face Detection] in Live View, Contrast AF + Face Detection mode is activated. Up to 16 faces can be detected at a time. What is the sync speed of the K-50? What is the guide number of the built-in flash? The guide number is approximately 12 (ISO 100/m). What is the maximum focal length covered by the built-in flash? The flash covers the angle of view of an 18 mm lens (35 mm equivalent: 28 mm lens). What flash adjustment method is used? A pre-flash (P-TTL) is used to adjust the flash output. Automatic TTL adjustment mode is not supported. Can the flash output be compensated? Yes, the output of the built-in flash can be changed in the range of -2.0 to +1.0 EV. Press the four-way controller (left) to display the [Flash Mode] screen, and turn the e-dial after the exposure compensation value is selected by pressing the four-way controller (down). The range can also be changed by pressing the four-way controller (left and right). *If the maximum flash output is exceeded when corrected to the plus (+) side, the compensation will not be effective. Are there any restrictions on the built-in flash that depend on which lens is used? When the flash is used at distances closer than 0.7 m, it causes vignetting in the picture corners, light is distributed unevenly and the picture may be overexposed, regardless of the lens used. The built-in flash cannot be regulated and fully discharges when A lenses not set to the A position, lenses manufactured prior to the A lenses or soft focus lenses are used. For DA, DA L, D FA, FA J and FA lenses other than those listed above, vignetting may occur depending on the shooting conditions, especially when the focal length is wide and the shooting distance is close. We recommend that you take a test shot to check the compatibility. Can I use my external flash with the K-50? The functions that are available will depend on the external flash used. Use the table below as a reference. *1　Available only when using a DA, a DA L, a D FA, an FA J, FA, an F or an A lens. The appropriate sensitivity for AF200FG is ISO 200 to 1600. *2　Shutter speed of 1/90 seconds or slower. *3　When combined with the AF540FGZ or AF360FGZ, 1/3 of the flash discharge can be set to be output by the built-in flash and 2/3 set to be output by the external flash. *4　Available only when combined with the AF540FGZ or AF360FGZ. *5　Multiple AF540FGZ or AF360FGZ units, or a combination of an AF540FGZ or AF360FGZ unit and the built-in flash is required. Is there a sync socket for professional flashes available for this camera? 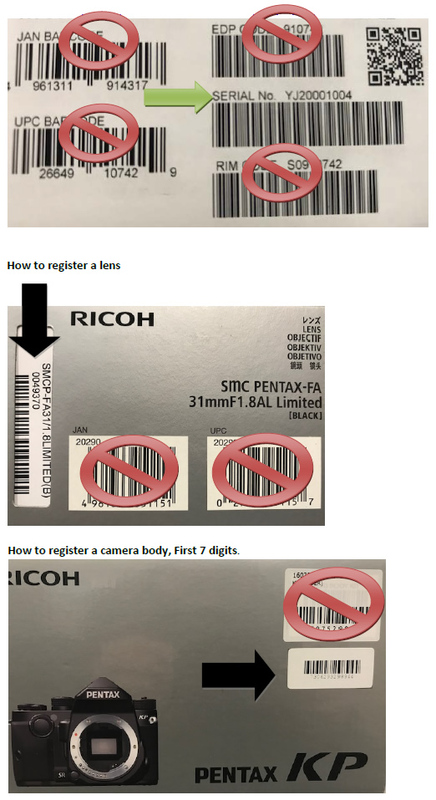 There is no x-sync socket on the camera. It can be added by attaching the Hot Shoe Adapter 2P to the camera’s hot shoe. However, be aware that some professional flashes use extremely high voltages. The use of such flashes may cause the camera to breakdown. Can wireless flash photography be used? The flash can be synchronized wirelessly from the built-in flash using a dedicated external flash (AF540FGZ/AF360FGZ). What are the specifications for movie recording? The output video format is MPEG-4 AVC/H.264, and the file format is QuickTime (.MOV). - The number of recorded pixels can be selected from Full HD (1920×1080, 16:9, 30/25/24 fps), HD (1280×720, 16:9, 60/50/30/25/24 fps), and VGA (640×480, 4:3, 30/25/24 fps). - The quality level can be selected from ★★★ (Best), ★★ (Better), and ★ (Good). *Movies are only saved in Motion JPEG format (.AVI) in Interval Movie shooting mode. *When the built-in microphone (monaural) is used, camera operation sounds are also recorded. It is recommended that the camera be set up on a tripod or otherwise secured in a stable location and not touched while movies are being recorded to avoid this. Does the autofocus system operate while movies are being recorded? Yes, it does. If [Enable AF] is assigned to the AF/AE-L button (for movies) in [Button Customization] of the [Rec. Mode 4] menu, press the AF/AE-L button to perform autofocus while movies are being recorded. However, AF operation sounds will also be recorded. *Autofocus during movie recording can be set from [AF/AE-L (Movies)] in [Button Customization] of the [Rec. Mode 4] menu. In Interval Movie mode, the camera takes still pictures one by one at a set interval from a set time and records them as a single movie file. You can select a recording interval from 3 sec., 5 sec., 10 sec., 30 sec., 1 min., 5 min., 10 min., 30 min., or 1 hr. The recording time from start of shooting to end can be set from 12 seconds to 99 hours depending on the value set for [Interval]. Can I adjust the exposure by changing the aperture value and shutter speed while recording a movie? You can adjust the settings for the following conditions. Are there any restrictions on capacity or shooting time for recording movies? You can record movies continuously up to 4 GB or 25 minutes. If the internal temperature of the camera becomes too high during movie recording, the recording may be terminated to protect the camera circuitry. Does the K-50 support UHS Speed Class? The transfer rate is compatible with UHS-I speed class. Which SD Memory Cards have been tested for compatibility? SDHC Memory Cards with capacities of 4 GB [Share Video], 8GB [Pro X2 *1] and 16GB [Pro X2 *1]. *The information above is given for the convenience of customers and does not guarantee complete compatibility with the K-50. *The transfer rate is compatible with UHS-I speed class. *Use a high-speed memory card when recording movies. If the write speed cannot keep up with the recording speed, writing may stop during recording. Can a miniSD card or microSD card be used through a memory card adapter? Proper operation of a memory card used through an adapter cannot be guaranteed. Use a regular SD Memory Card. Does the performance of the SD Memory Card used affect the shooting interval or other functions of the camera? Approximately how many images can be stored on an SD Memory Card? The number will vary according to the shooting conditions and subject or subjects being photographed. Below is a guide with details on number of recordable images and shooting time. Are there any precautions that need to be followed when using SD Memory Cards? Please note the below points. - Card that have not yet been used or that have been used on other devices, such as on another camera or a computer, must first be formatted on the K-50. - Do not remove an SD Memory Card or turn the camera off while you are recording data or playing back images or audio, or while the camera is connected to a computer via a USB cable. - Do not bend an SD Memory Card or subject it to violent impacts. Do not leave cards in locations where they may be exposed to water, moisture, or high temperatures. - Avoid using or storing cards in places where they may be exposed to static electricity or electrical interference. - Data saved to SD Memory Cards that have been left unused for long periods of time or that have been damaged may become unreadable and lost. Important data should be backed up regularly. Can the Eye-Fi function on an Eye-Fi SD Memory Card be used with this camera? Yes, the Eye-Fi function can be used when an Eye-Fi SD Memory Card is inserted into the camera. * Be sure to set up a wireless LAN access point on a computer in advance for the Eye-Fi card connection. It cannot be set up on the camera. What type of batteries can be used with the K-50? AA lithium batteries, AA Ni-MH rechargeable batteries, AA alkaline batteries, or an optional rechargeable Lithium-ion Battery D-LI109 can be used with the camera. *Due to the battery’s properties, we do not recommend the use of AA alkaline batteries. Only use them in emergencies or when checking the camera functionality. Are there any precautions or suggestions to follow regarding charging, use, and storage of the Rechargeable Lithium-ion Battery D-LI109? - To keep the battery in optimum condition, avoid storing it in a fully charged state or in high temperatures. - Charging the battery a day before use or on the day of use is recommended. - If the D-LI109 battery is left inserted and the camera is not used for a long time, the battery will over-charge and shorten the battery’s life. Be sure to remove the battery from the camera when storing the battery. How many photos can I take when batteries are used? How long can I play back images? The numbers of photos that can be taken and available playback time for each type of battery are as follows. *The image storage capacity (normal recording and flash use 50%) is based on measuring conditions in accordance with CIPA standards, while other data is based on our measuring conditions. Some deviation from the above figures may occur in actual use depending on the selected capture mode and shooting conditions. *1　Tested using the Energizer Ultimate Lithium Batteries. Is there an optional AC adapter available? Yes, the AC Adapter Kit K-AC128J is available, sold separately. Can I use the AC adapter overseas? The AC Adapter Kit K-AC128J (sold separately) works in the range from 100 V AC to 240 V AC (50/60 Hz), which should allow the adapter to be used in almost any overseas country, although a plug converter may need to be used depending on the type of electrical outlet in use in a specific country. Do not attempt to use a commercially available transformer or similar device with the charger and adapter as doing so may cause them to become damaged. Plug adapters can be found at travel goods stores and similar shops. Can the camera be connected to a TV for playback of images on a TV screen? You can connect the camera to a TV or other device with a video input terminal and play back images. During video output, the video will also be displayed on the camera monitor. You will not be able to adjust the volume on the camera. Adjust the volume on the AV device. Can images be resized or trimmed on the camera directly? JPEG files captured on the K-50 can be resized and cropped. Images already resized to 0.3M or 0.2M with the K-50 cannot be resized or cropped, however. What is the “Bright/Dark Area” warning? When this function is activated, areas in the image that are too bright or too dark and have lost gradation detail will blink on the monitor during playback and instant review. Can movies be edited on the camera? Movies can be divided up and unwanted segments can be deleted directly on the camera. Also, you can capture a single frame from a movie on the camera and save it as a JPEG still picture. Can the camera be connected to a TV in an overseas country for playback of images on a TV screen? Yes, you can if you use the optional AV Cable I-AVC7 to connect the camera to the TV. The output format is set to either NTSC or PAL depending on the language selected in the Initial Settings. Be sure to change the setting when playing back images on a device that uses a different format. Images cannot be played back on SECAM-format TVs. What are the system requirements for using the still pictures and movies captured with the K-50 on a computer? We recommend the below system requirements for connecting the K-50 to a computer or using the provided software. *To install the software, a user account with administrative rights is necessary. *Can be run as a 32-bit application on any 64-bit edition of Windows. *Supports multi-core processors (Intel® Core™ i5, i7; CoreTM 2 Quad, Duo; AMD Phenom II X4, X6; Athlon II X2, X4; and other). To playback movies on a computer that were shot with this camera is required the software that can playback MOV file or AVI file. What software is included with the camera? "SILKYPIX　Developer Studio 3.0 for PENTAX" (Ver.3.0.0.11) comes with the camera. The SILKYPIX　Developer Studio 3.0 for PENTAX software develops the RAW data and makes adjustments in the color, etc. and saves the developed data in JPEG or TIFF format. This software accepts RAW (DNG) data from a K-50, K-30, K-01, PENTAX Q, PENTAX Q10, PENTAX Q7, PENTAX MX-1, or GR camera only. Are there any Custom Image functions available in the included SILKYPIX Developer Studio 3.0 like those on PENTAX cameras? SILKYPIX Developer Studio 3.0 does not offer any of the K-50 Custom Image effects. To use such effects for the captured images, select the desired Custom Image on the camera when RAW images are developed. Can K-50 RAW (DNG) files be used in applications such as Photoshop that support the DNG file format? Can images captured using the K-50 be used with Digital Camera Utility 4? Digital Camera Utility 4 can be used to view JPEG images but cannot be used to edit images or develop RAW images. What should I do to use K-mount lenses that do not have an A position on the aperture ring? First, set [22. Using Aperture Ring] to [2 Enable] in the [C Custom Setting 4] menu. You can then use the aforementioned lenses with some restrictions. I accidentally selected the wrong language in the Initial Settings. How can I change the settings to the appropriate language? Press the MENU button in Capture/Playback mode, and use the four-way controller or e-dials to display the [Set-up 1] menu. Select the desired language in the [Language/言語] screen, and press the OK button. Refer to the Operating Manual (p.56) for details. Refer to p.58 for instructions on how to change the date and time and p.201 for instructions on how to change the video output format. I cannot save any images. Why would this happen, and how can I fix it? Check the below potential issues and suggestions for fixing the problem to resolve it. The SD Memory Card is full and no more images can be saved to it. Insert a new SD Memory Card or delete unwanted files. You may be able to save more images to the card if you change the image quality level or the number of recorded pixels. The SD Memory Card has a problem, and image capture and playback cannot be performed on the camera from the card. You may still be able to view the contents of the Memory Card on a computer, however. The SD Memory Card you have inserted is unformatted or has been formatted on a computer or another device and is not compatible with this camera. First format the SD Memory Card before attempting to use it with the camera. The write-protect switch on the SD Memory Card you have inserted is locked. You can still operate the menus, switch between modes, and play back the images on the card in such cases. What should I do for Bulb Shooting over 30 seconds long? To enable shooting with long exposures lasting over 30 seconds which cannot be set in M mode, set the mode dial to B for Bulb Shooting. There are two modes in the [C Custom Setting 2] menu. In [Mode1], exposure continues while the shutter release button is pressed. In [Mode2], exposure starts with the first press of the shutter release button and ends with the second press of the shutter release button. We recommend using a tripod and the optional Cable Switch CS-205, or the optional Remote Control F or Remote Control Waterproof O-RC1 to prevent camera shake when shooting with long exposures. The cable switch CS-205 also has a lock function to keep the shutter release button pressed, so it can be used with [Mode1] and [Mode2]. Since it is difficult to keep the shutter release button pressed when using Remote Control F or Remote Control Waterproof O-RC1, we recommend using [Mode2] in such cases. When the built-in flash is used, the exposure becomes overexposed. How can this be fixed? When the aperture ring is set to a setting other than the A position to change the exposure manually, or a lens without an A position or a soft lens is used, the built-in flash cannot be regulated and will fully discharge every time and the exposure may be overexposed. *The built-in flash can be used as an auto flash for DA, FA J, DA L lenses, and A, F, FA, D FA lenses when the aperture ring is set to the A position. How do I turn off the Guide Display on the monitor? Uncheck the [Guide Display] option in [LCD Display] of the [Set-up 1] menu. How should I attach the Adapter K for 645 Lenses? *After loosening the locking screw for the Adapter K, you can rotate the mount unit; click-stops are located at 90-degree intervals. 1. Position the Adapter K so that the red dot mount index on the 35 mm side of the adapter is opposite the locking screw. Attach the Lens Mount Cap K to the Adapter K.
Loosen the locking screw, rotate the Lens Mount Cap K so that the red dot mount index is on the opposite side, and tighten the lock screw. *Avoid holding onto the mount unit directly with your fingers. 2. Remove the Lens Mount Cap K from the Adapter K, and attach the adapter to the K-50. 3. After the Adapter K is attached, the locking screw should be at the bottom. Loosen the locking screw, rotate the Adapter K 90 degrees counter-clockwise, and tighten the locking screw. 4. Mount the 645 lens to the Adapter K.
- To remove the Adapter K, loosen the locking screw and rotate the adapter so that the locking screw is at the bottom. Tighten the locking screw and then remove the Adapter K.
*Set the lens to the maximum aperture before focusing. *When the aperture ring for 645 lenses is set to the A position, the minimum aperture will be used. *The lens shutter for 645 LS 75mm F2.8 lenses and 645 LS 135mm F4 lenses cannot be used. The [Input Focal Length] function cannot be selected. Why is this, and how can it be activated? The [Input Focal Length] setting menu does not appear when lenses are used that support the automatic acquisition of lens information such as focal length (for example DA, D FA, FA, F lenses) because [Focal Length] is set automatically. None of the [Input Focal Length] setting options matches the focal length of the lens. What setting should be used? Use the closest setting to the actual focal length of the lens used. Portions of an image on the monitor blink red or yellow when I try to play back the image on the camera. What would cause this to happen? When [Bright/Dark Area] is On in the [Playback] menu, bright (overexposed) portions blink red and dark (underexposed) portions blink yellow.